FOR IMMEDIATE RELEASE – Monday, November 19, 2012 – Binghamton, NY – SunMaxx Solar, a leading, vertically integrated manufacturer of solar thermal systems and components, is excited to announce a collaboration with O’Brien & Gere to host a webinar earlier this month showcasing solar thermal energy. 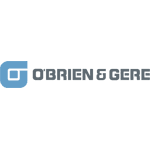 Since 2007, O’Brien & Gere has hosted Higher Education Sustainability webinars to share knowledge that impacts facility operations, environmental footprints, energy use, and an institution’s mission to incorporate sustainability into its cultural fabric. The webinar, SunMaxx University: Solar thermal introduction and associated benefits for Universities and Colleges was presented by SunMaxx Solar Sales Manager, Ed Gunn.The webinar included basic system types, financial impact and saving opportunities, and case studies of system installations currently at colleges and universities. “It’s been a great experience working with O’Brien & Gere and their Higher Education Sustainability platform, as the educational component is at the core of everything we do here at SunMaxx,” exclaims Ed Gunn, SunMaxx Solar Sales Manager.